The Beauty of Life: Space NK Semi-Annual Private Sale Happening This Week! 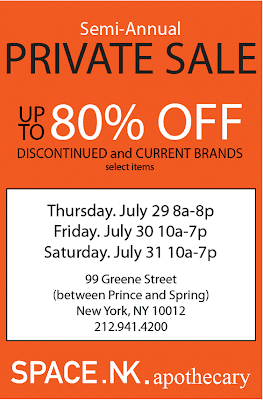 Space NK Semi-Annual Private Sale Happening This Week! Attention, NYCers! If you love Space NK, this is definitely your lucky week. 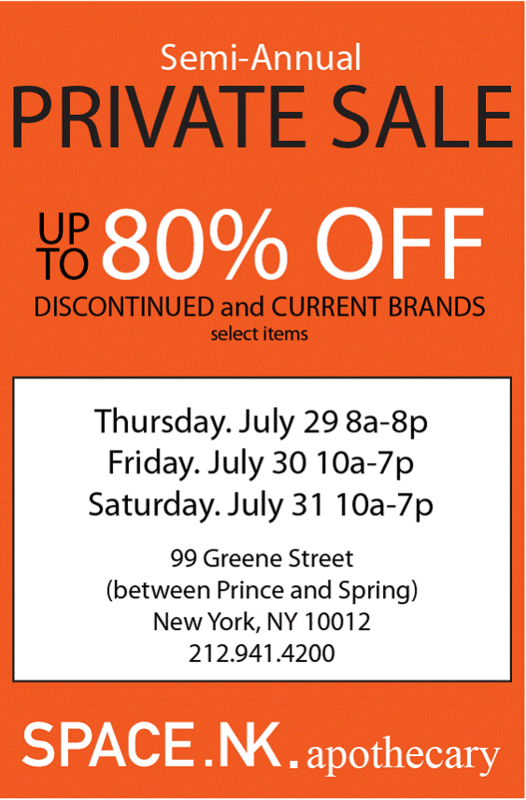 I just got word that the brand is having their semi-annual private sale at the Greene Street location this Thursday-Saturday! All the info is in the picture above, just click to enlarge.